A Chilean court has opened a fresh case against the country's former army chief for the alleged torture of 24 political prisoners following a military coup in 1973, according to a court document released Thursday. 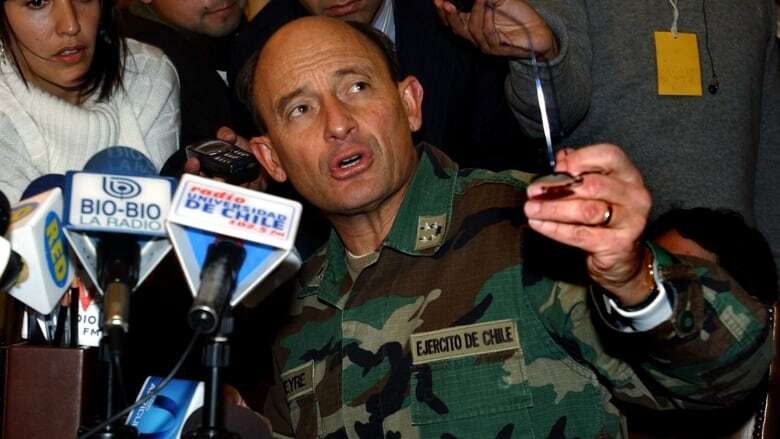 The Court of Appeal in Chile's northern city of La Serena ordered the investigation against Gen. Juan Emilio Cheyre, 71, and other former military officials for allegedly subjecting detainees to beatings, electric shocks, mock executions, water torture, hangings, rapes and sexual assaults. An order for Cheyre's arrest was issued on Thursday and he was taken into custody shortly afterwards, pending a judicial hearing later in the day, a spokesman for Chile's investigative police force (PDI) told Reuters. Cheyre, under house arrest for separate crimes, is the most senior figure so far to be held accountable for abuses committed after Augusto Pinochet overthrew former Chilean President Salvador Allende. In November of last year, he was sentenced to three years and one day of house arrest for complicity in the deaths of 15 people. He served as adjutant to the commander of the infantry regiment for the coastal city of La Serena, 470 kilometres north of Santiago. There he witnessed the murder of 15 people by fellow officers on the orders of Chile's notorious "Caravan of Death" military committee, which traversed the country following the coup, killing and ordering the murder of leftists. Cheyre progressed through the military ranks, serving as the army's commander from 2002-2006. During the dictatorship of the late Pinochet, which lasted 17 years, some 3,000 people died for political reasons and around 28,000 were tortured, including former president, Michelle Bachelet, now the United Nations human rights chief. Pinochet died in 2006 under house arrest without being tried on charges of illegal enrichment and human rights violations.